My first home was on Ningi Ningi (Gubbi Gubbi) Country in Redcliffe, which incidentally was the site of the first penal colony in Queensland, Australia. My ancestors came from Norway, Germany, Ireland and England. The first who migrated to Australia came from Germany and Norway, living in the Darling Downs region. As a two-year old, we moved to the northern Brisbane suburb of Aspley, where I spent many hours exploring the nearby bush and creek, much to my mother’s annoyance. As a child, I loved to disappear to explore the plants, lizards and butterflies, often imagining myself living there – making little gunyahs (shelters) out of tree branches and leaves. When I reflect on my childhood, I think I was a bit wild and maybe a bit of a handful for my parents to manage. 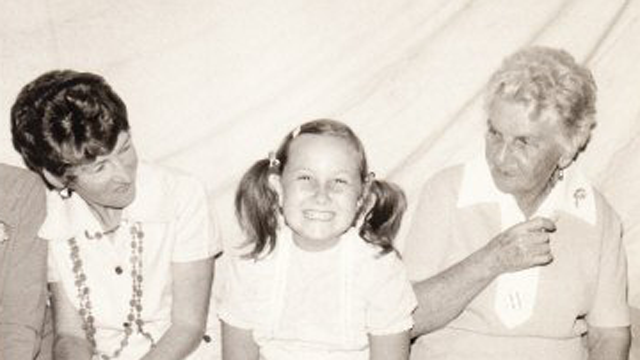 In 1977, my family moved to Darwin. My world opened. At school, fellow students came from every part of the globe, with many kids from a broad range of First Nation communities across the Northern Territory. This period of my life was a profound learning experience on so many levels. 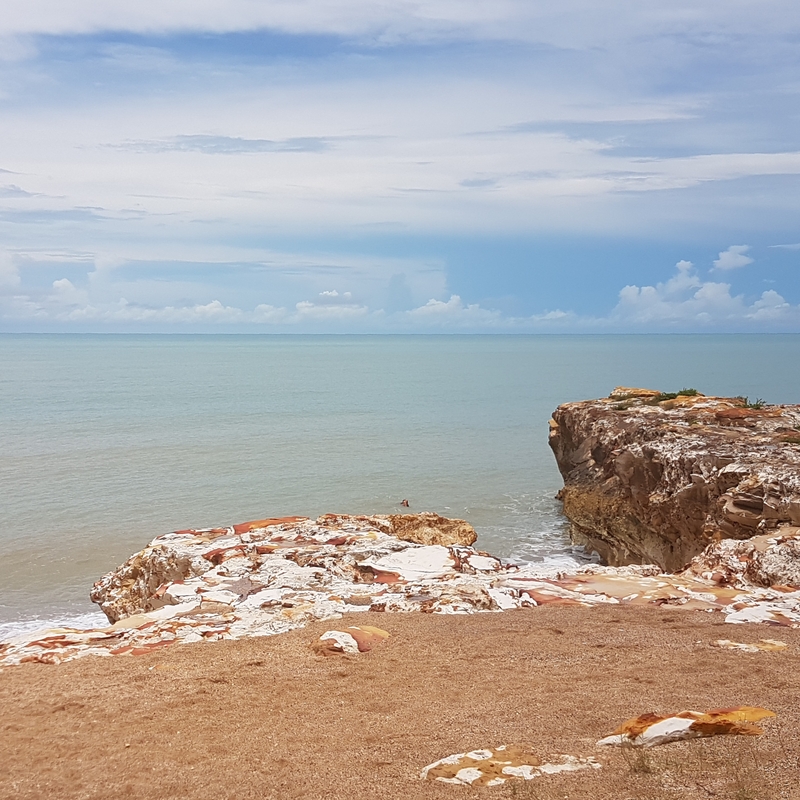 I spent my afternoons exploring the cliffs at Nightcliff beach, sighting dugongs and dolphins and watching the most incredible sunsets. A pivotal memory for me was watching a monsoon move towards the coast. It was at that moment I realised how insignificant humanity is when you look at the bigger picture of the universe. Around this time, I was extremely privileged to study art with Miriam-Rose Ungunmerr, the first Indigenous trained teacher in the Northern Territory. This experience has had a continuing effect on how I see the world and on my work as an artist and environmental researcher. Being taught by Miriam-Rose sparked my curiosity and need to understand the world in a much more holistic way. Seeking to learn more, my school friends from the Tiwi Islands and Arnhem Land taught me a lot about their spirituality. I was raised in a strict Anglican family, by the time I was a teenager (and attending a Catholic school), many holes started to appear in my narrow and protected understanding of the world. The light was shining through. To learn that all things are connected – land, life, story, law, family, ancestors and spirit was a revelation to me and one that has influenced my world view from that young age. In early 1982, my family returned to Brisbane. As a 16-year-old, I did not want to move back there as my connection to the Top End was very strong. After a while though I did settle down somewhat, finding like-minded spirits in the Brisbane punk scene: one of the many subcultural groups pushed underground by the arch conservative and repressive Joh Bjelke-Petersen government. At 18, I moved back to Darwin and from the ages of 18 to 27 I lived in Sydney, Darwin, Gippsland and Rockhampton, settling in Brisbane when my son Lukas was an infant in 1993. Since 2001, I have lived in the ACT region, on Ngunnawal country, where I am active as an artist, researcher and digital engagement specialist.